Avail from us the Cleanroom Dehumidification Modules in plethora of sizes and specifications at the unbelievably low prices. 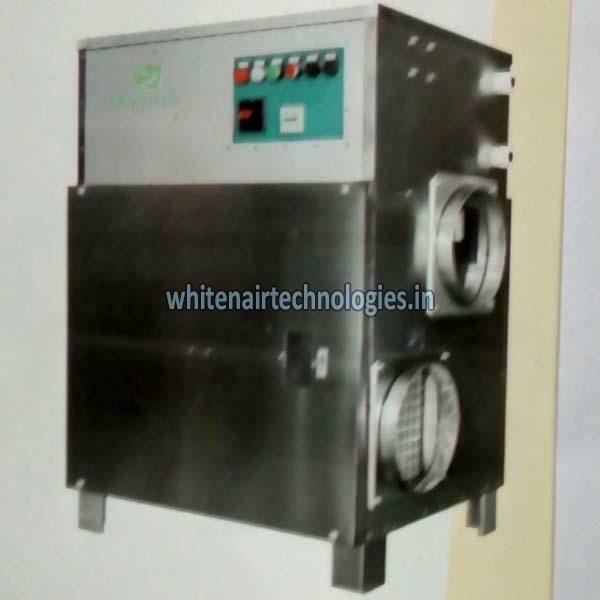 We are reckoned among the illustrious Manufacturers and Suppliers of the Cleanroom Dehumidification Modules in India. Robust structure, efficient performance, minimal upkeep and durable life are few qualities that make our Cleanroom Dehumidification Modules standout from the rest. These Low Maintenance systems feature silica gel desiccant housed in a rotor. Moisture in the process air passing through the rotor is adsorbed, producing a flow of dry air. Concurrently, re-activation air is heated and passed through the rotor to regenerate the silica gel and ensure continuous operation. The humid regeneration air then ducted outside the clean Room.